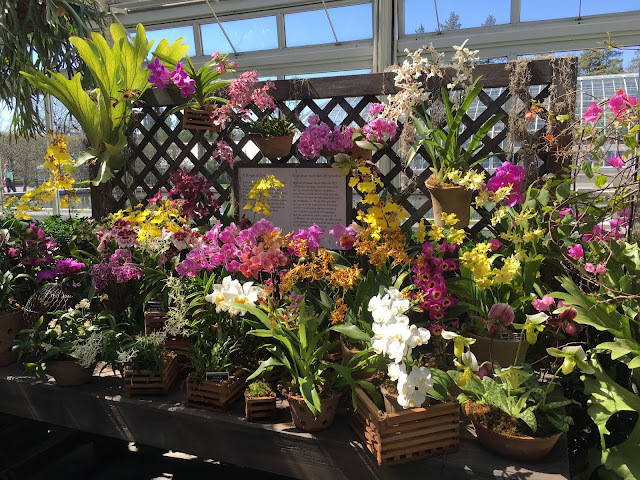 I went recently with my high school friend, Suzy Ferenczy MacEnroe, to the New York Botanical Garden located in the Bronx to see the Garden's annual Orchid Show. What a treat it was. I had previously been to the gala dinner which launches the Orchid Show but not to the Show itself. The New York Botanical Garden is situated on 250 acres where over one million living plants grow in extensive collections. 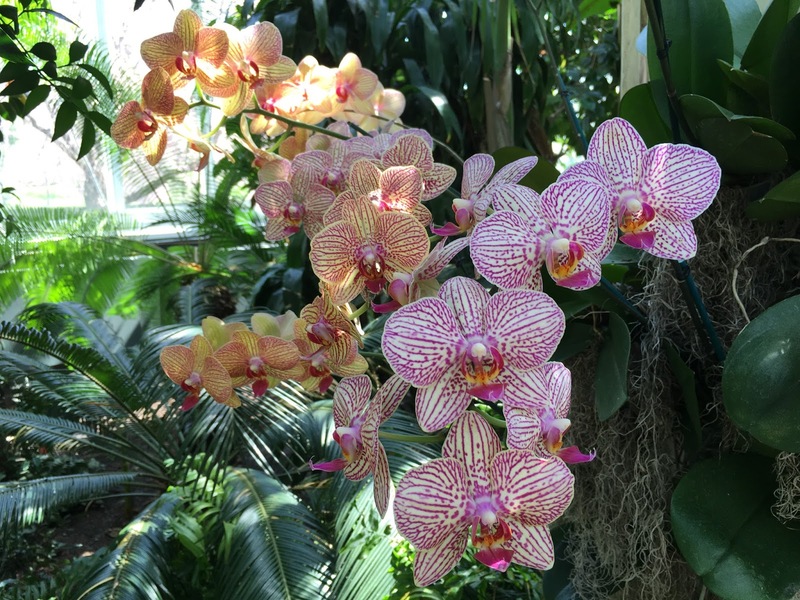 Besides its different gardens, it's a major educational institution dedicated to conservation and research, employing 80 Ph.D. scientists. 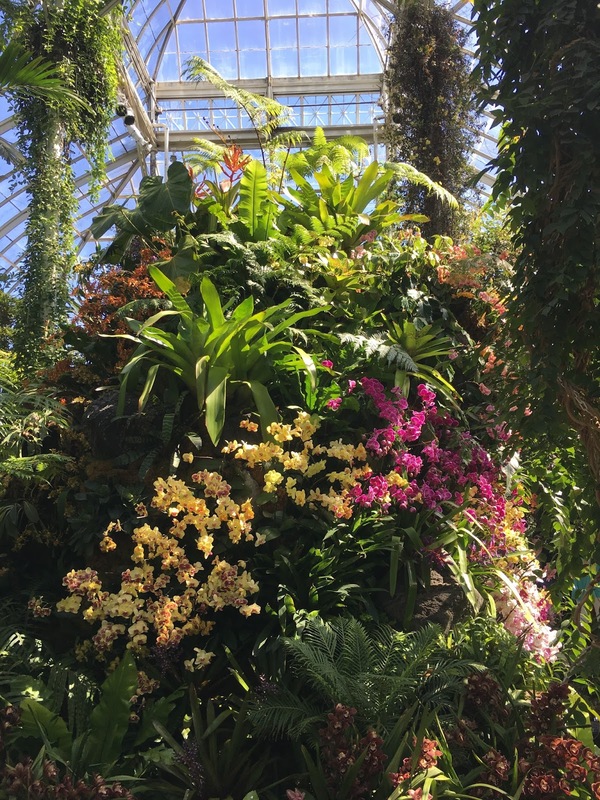 The Garden was created at the end of the nineteenth century and was inspired by the Royal Botanic Gardens, Kew, near London. 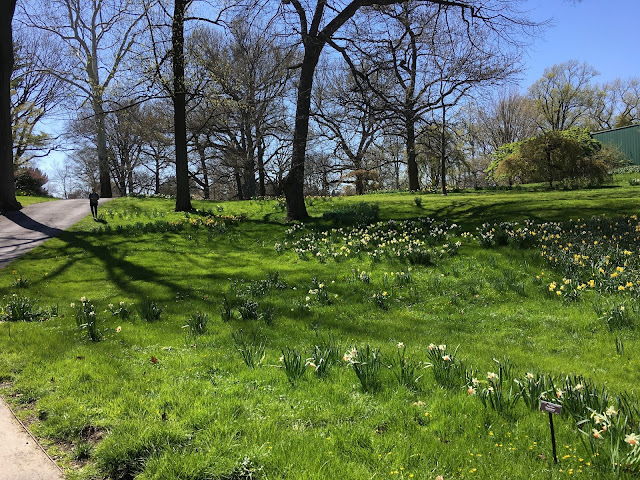 The great New York financiers of the day funded the Garden which was designed by Calvert Vaux, who designed Central Park with William Olmstead. 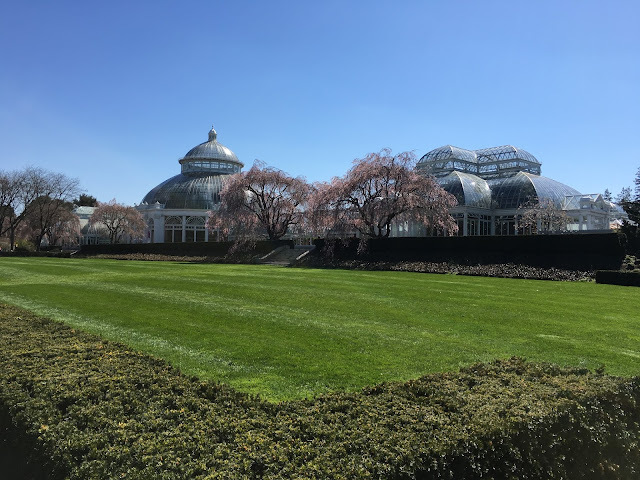 At the end of the nineteenth century, New York City was becoming a great world capital, with a new library and a new art museum, and the Botanical Garden was part of that development, as it brought plants and the beauty of nature to the city and its urban dwellers. The jewel of the Garden is surely the Enid A. Haupt Conservatory, which is the largest Victorian glasshouse in the United States. 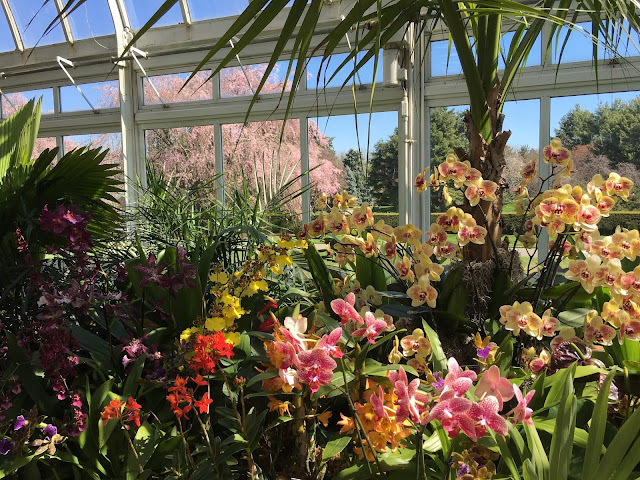 Opened in 1905 and recently renovated, the glass and iron marvel includes ten glass greenhouses where all kinds of plants are displayed. 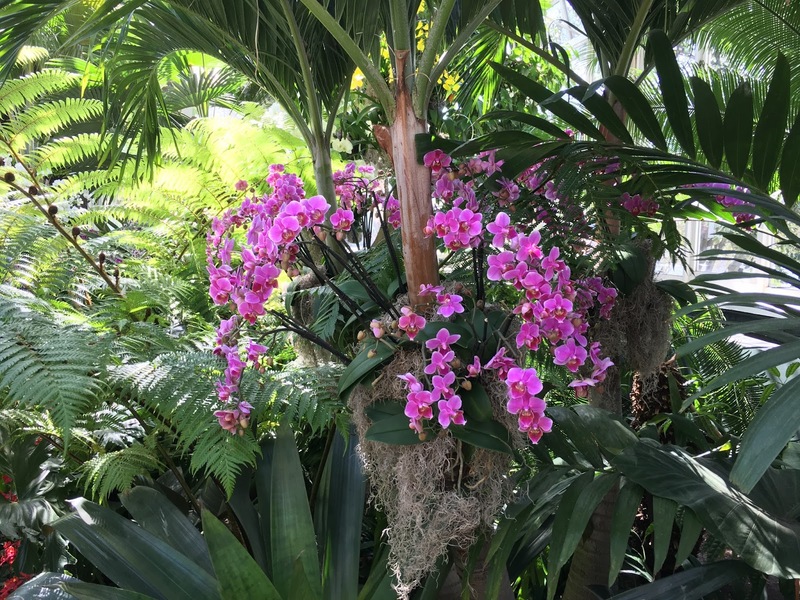 Suzy and I took the MetroNorth train together to the Botanical Garden stop and headed straight to the Conservatory to see the Orchid Show. 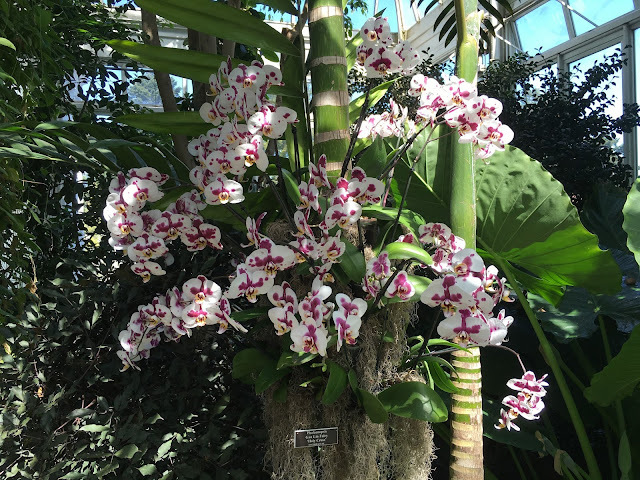 The Orchid Show was in two rooms and there were orchids everywhere - sprouting out of rocks, hanging from trees, lining a waterfall, displayed on tables. It really was an eyeful. On the clear sunny day, outside the glass windows, the beautiful garden was in view and the blue sky beyond. 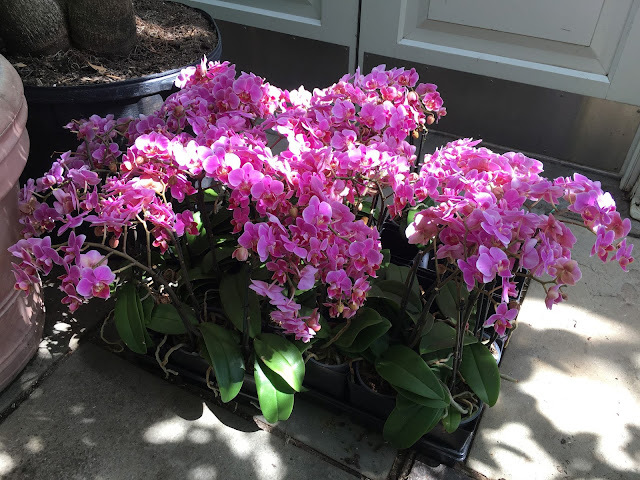 Orchids were crowded onto tables - what luxury. Boxes of orchids packed in a crate on the floor were ready to be displayed. It would be nice to have just one! We kept walking around looking at everything. 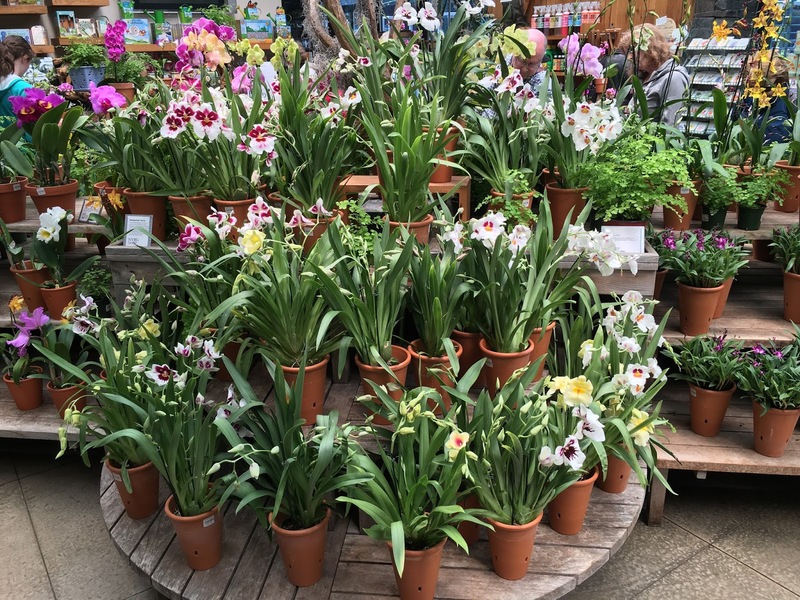 There were so many flowers to take in. Each petal looked like it was handpainted. Finally we left, satisfied that we had found it. We walked to a nearby cafe and sat outside and ate lunch. Inside the gift shop, an array of orchids were presented for sale - smart! 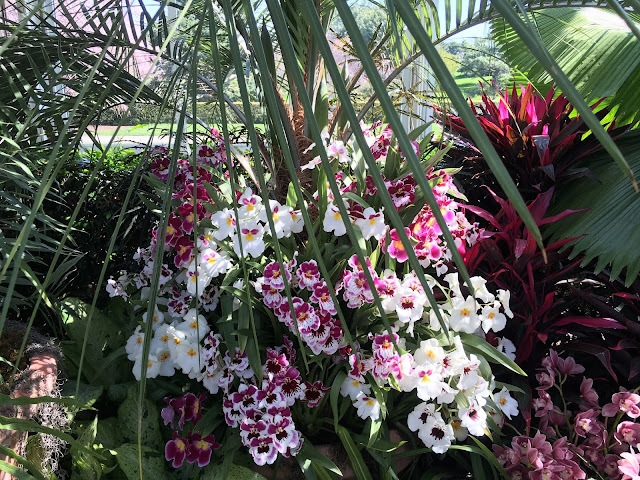 but I know from experience that the Garden is glorious in season. Go in June to see the rose garden in bloom! The Brooklyn Botanic Garden also offers a rapturous rose garden in June. 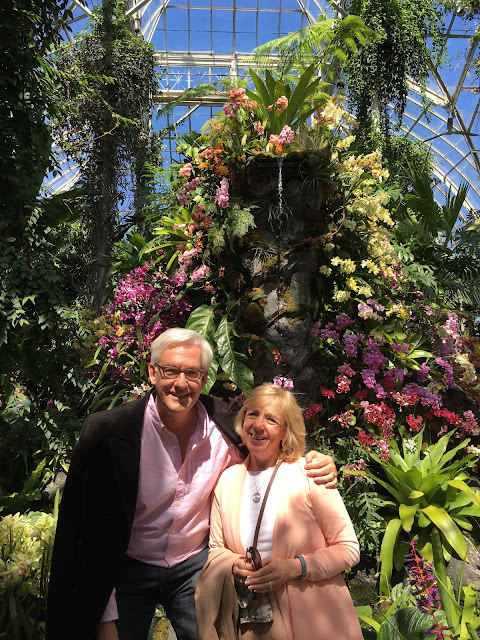 Suzy and I were so glad to see the annual Orchid Show, which ended on April 17. Coming up May 14 - Sept. 11 is an exhibition called Impressionism: American Gardens on Canvas, which sounds wonderful too.